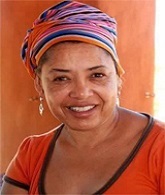 Elaine Rosa Salo trained in anthropology at UCT in the early 1980s. She was a feminist scholar, she completed her PhD at Emory, examining gendered roles in Mannenberg, Cape Town. She was part of UCT's African Gender Institute from 2000 to 2008, before leaving to become director of Women and Gender Studies at the University of Pretoria. She became associate professor in political science and international relations at the University of Delaware in 2014. The Elaine Salo Honours Prize was introduced in 2016. The prize is awarded to the best student essay submitted by a honours student as a paper at the annual Anthropology Southern Africa conference. Imana yirirwa ahandi igataha iRwanda [God roams elsewhere in the world and returns to rest in Rwanda]. This Rwanda mentioned is the birthplace of Aimée Gratia Ilibagiza Mutabazi who, due to the war in 1994, had to flee it and seek refuge elsewhere in the world. The saying both hints at the importance of Rwanda as the resting place of God and at God’s timeless wondering away from it in the world. This paradoxical contemplation characterizes much of the personal and professional aspirations that Aimée Gratia is drawn to. Currently as a Master of Arts candidate in Anthropology, her academic interests include identity reconstruction amongst Rwandan refugees who live and have grown up in exile. She draws largely from her experience as both Rwandan refugee and South African permanent resident to reflect on the ambivalent feelings of growing up away from home and having to live in different cultural contexts to make sense of life. Aimée Gratia is a traditional Rwandan dancer in a Johannesburg based refugee cultural group. It is from here that she has drawn much of her creative and intellectual inspiration for her academic and community service work. 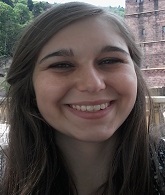 She is a Mellon Mays fellow and has presented her research at Bowdoin College and Columbia University at summer institutes in the United States. 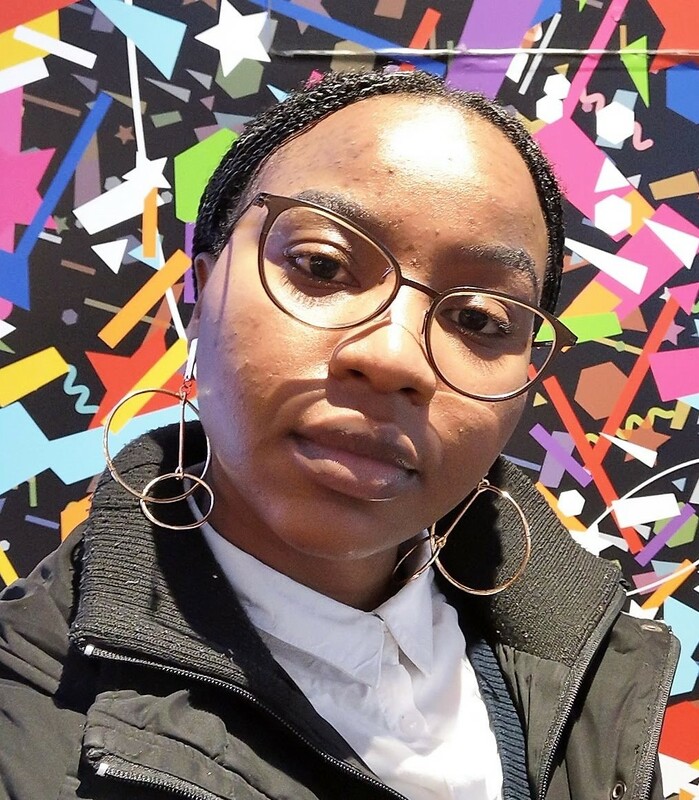 Passionately curious about humanity, Aimée Gratia describes herself as a creatively intuitive person who strives to find collaborations between her African-orientated academic work and broader social, political and artistic spaces. She is also interested in the role of African women in knowledge production as well as their financial emancipation as community builders. Abstract: Drawing inspiration from critical theorists such as Weheliye (2008) and Nietzsche (1967), in this paper I show how one community of refugees—my own—makes life, time and value beyond the immediate present. I do this through an auto-ethnographic account of Gihozo, a Rwandan traditional dance group in Johannesburg. The paper contributes to a different vantage of discourse on refugees which often centres on their political integration in host countries, and their potential for renewed violence due to ‘anti-social’ behaviour. Popular representations of refugees tend to present them as helpless victims of circumstances beyond their control, while even radical scholars such as Agamben (1998) write of the refugee as the embodiment of ‘bare life’. The voices, narratives and experiences of refugees is often drowned out amongst intervention and integration programs, political policies, and the stamp of humanitarianism which further marginalizes and undermine their agency in creating and determining their identity. Refugee identity and its space in society and discourse is thus often explored so that it may inform how refugees can be pragmatically dealt with, in the places they reside in. Using the framework of kwitoza (to practise; to exercise), I trace how the participants of Gihozo creatively make the world anew through improvisations with space, the movements of their bodies through dance, and how they engage dialogically with different kinds of audiences that position them in relation to different scales of context. These audiences range from Non-Government Organisations (NGOs) and civil society structures on the one hand; and intra-community functions such as marriage parties and political memorials on the other. I am currently an MA student in Social Anthropology at the North West University under supervision of Dr André Goodrich. My love for ethnography was sparked when I (with a group of fellow final year students) was assigned to write up the life story of an old ‘coloured’ man who was forcibly removed from his house by the apartheid state during the late 1960’s. The state’s continued violence imposed upon poor South Africans even after the dispersal of the apartheid state stirred me and inspired my current research interests which are in the creative ways people make life among turbulent economies of state abandonment. My paper for the 2017 Elaine Salo prize is based on my honours research which was supervised by Pia Bombardella. The paper tells the story of how residents in Marikana, a dusty informal settlement outside Potchefstroom, South Africa, utilised DIY-formalisation and auto-constructed water infrastructures to navigate the troubled waters of state abandonment in order to experience and maintain ‘life in this place’. The life that residents experienced was neither ‘romantically’ resilient nor was it ignorant of adversity. I call this buoyant life. "Inherited inequalities? An ethnography of inheritance and intergenerational wealth transfer in Sebokeng, Emfuleni District Municipality"
Abstract: There is a growing body of research in South Africa focussed on the middle class. Some scholars are focussed on the consumption patterns of the middle class as a way to understand class dynamics and inequality between genders, races and ages in terms of wage differentials. This body of research does not really engage with the issue of intergenerational transfer of wealth. While some scholars write about intergenerational relationships, very little has been written about intergenerational wealth transfers in the black middle class. One of the aims of this research is to contribute to this gap in the literature by exploring social mobility, expectations among the children of teachers (millennials), and cross examining intergenerational wealth transfers between five families in Emfuleni District Municipality. In our public discourse, much is made of popular sentiments such as “the rich get richer and the poor get poorer” but we do not know much about the middle class. This research aims to give insight into this group by using the new perspective of intergenerational wealth transfers. I employed life histories and interviews amongst middle class households in EDM with one or more of the main breadwinners who are employed as teachers. I also employed kinship diagrams to map the flow of intergenerational wealth transfers across the different families. I inquired into what constitutes wealth, what the emerging rules for sharing and transferring such wealth are, whether such forms of wealth are considered as gifts or not, and what relationships get formed or terminated upon the transfer of wealth. A key aspect was discovering whether the breadwinners self-identify as the middle class their occupations ascribe to them. 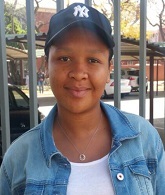 Julia Munroe is a South Africa student completing her Anthropology Honours at the University of Cape Town under the supervision of Professor Fiona Ross. Her thesis research explores the work of an NGO which distributes washable sanitary pads to school girls and explores the politics of menstruation in the South African context. She is passionate about gender equality, reproductive health and sustainability. Menstruation is steeped in stigma and taboo thus the difficulties associated with menstrual management are commonly overlooked and under-discussed in South Africa’s public discourse and public policy. In 2011, the NGO the Sanitary Dignity Campaign asserted that in South Africa seven million girls miss a week of school every month because they cannot afford sanitary pads. I conducted ethnographic fieldwork with the Sanitary Dignity Campaign over a period of five months, tracing how this narrative successfully engendered and foregrounded a ‘cause’ in public imagination, attracting NGOs, government MPs, students and activists to join forces in the name of ‘7 million girls’. This paper argues that the significant success of this campaign is twofold: regardless of the ‘truth value’ of the statistic of seven million, framing girls’ menstrual-related difficulties in terms of a ‘big number’ rendered the issue quantifiable and therefore ‘real’ in the eyes of a society which takes statistics as objective and ‘factual’. Secondly, by discussing a stigmatised, menstrual-related issue in terms of girls’ dignity and education the Sanitary Dignity Campaign’s narrative ‘sanitised’ a previously ‘unsanitary’ issue by rather framing it in terms girls’ constitutional rights and the contravention thereof. As a result of these processes, I argue, we can see the emergence of a greater awareness of a ‘gendered citizen’ and what such citizens might need in order for their basic constitutional rights to be met.